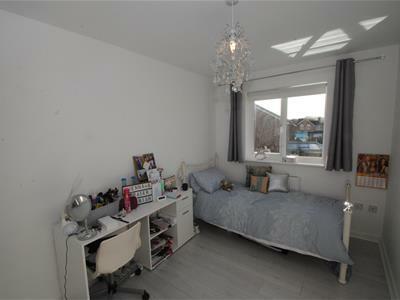 EXCEPTIONAL DETACHED HOME - STUNNING LANDSCAPED GARDEN - FOUR SPACIOUS BEDROOMS - MODERN AND CONTEMPORARY EN-SUITE Located on the ever popular Camberwell Park development is this WELL PRESENTED four bedroom detached family home. 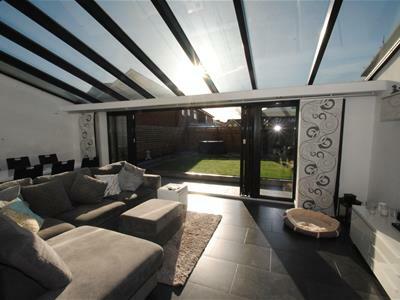 Internally the property benefits from an entrance hallway wc, sitting room, breakfast kitchen, lounge and large conservatory with b-folding doors, underfloor heating, first floor a master bedroom with dressing area and en-suite, three further bedrooms and a family bathroom. 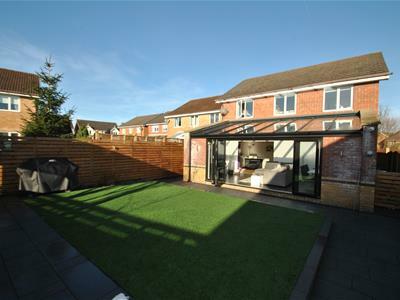 Externally there is a block paved driveway, landscaped gardens to the rear with remote controlled lighting and garage. 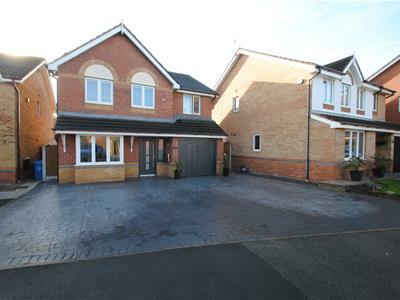 The property is convenient located for motorway access and a number of local amenities including shops and schooling. An early inspection is highly recommended to appreciate what's on offer. 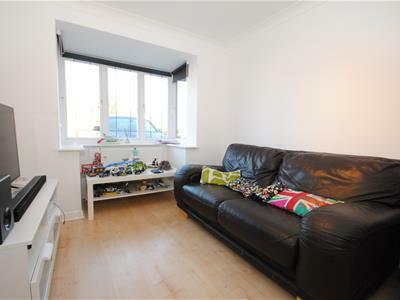 Located on the ever popular Camberwell Park development is this well presented four bedroom detached family home. 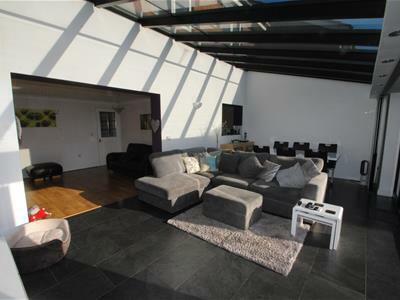 Internally the property benefits from an entrance hallway, WC, sitting room, breakfast kitchen, lounge and large conservatory with b-folding doors, underfloor heating, To the first floor there is a master bedroom, with dressing area and en-suite, three further bedrooms and a family bathroom. 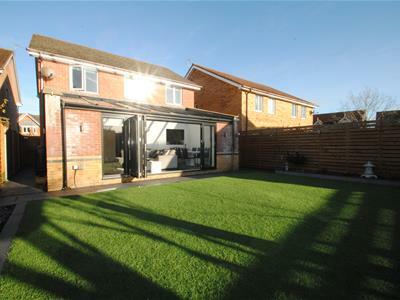 Externally there is a block paved driveway, landscaped gardens to the rear with remote controlled lighting and garage. 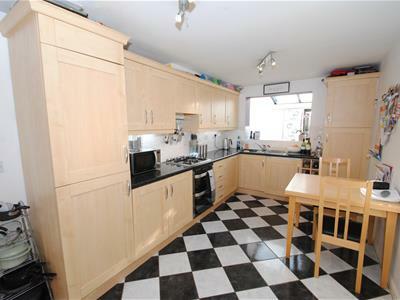 The property is convenient located for motorway access and a number of local amenities including shops and schooling. An early inspection is highly recommended to appreciate what's on offer. 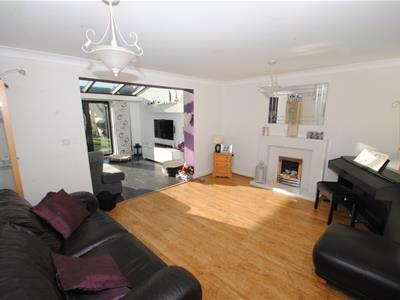 Laminate flooring, panelled door, staircase to the first floor, central heating radiator. 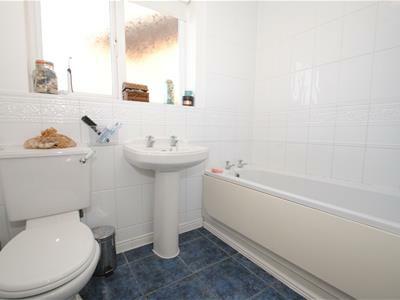 Vanity wash hand basin, low level Wc, tiled flooring, spotlights and a central heating radiator. A range of matching eye and base level units, four ring gas hob with oven and hood, fridge/freezer, dishwasher. washing machine, tiled flooring, central heating radiator and side door. Coal effect fire with marble surround and hearth, laminate flooring, ceiling coving and television point. Double glazed bay window to the front elevation, central heating radiator, laminate flooring and ceiling coving. 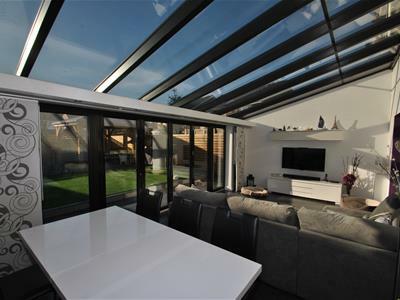 Bi folding doors, under floor heating, self cleaning glazed roof, wall light and television point. Airing cupboard and access to the loft. Two double glazed window to the front elevation and two double wardrobes. 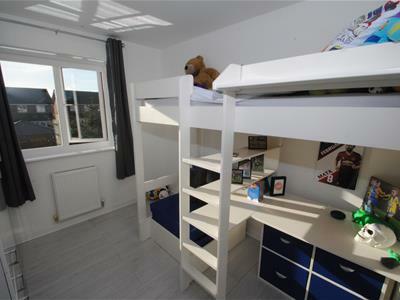 Built in wardrobes, shelf and laminate flooring. 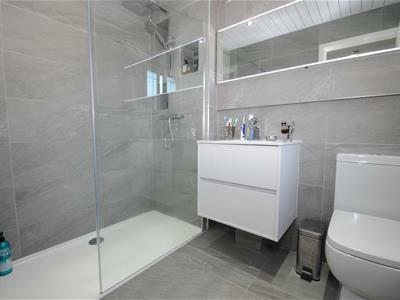 Contemporary style with low profile walk in shower with Rain head shower and shower attachment, vanity wash hand basin with chrome taps, low level Wc, fully tiled walls, mirror with LED spot and strip lighting, central heating radiator, double glazed window to the front elevation. Double glazed window to the rear elevation, laminate flooring and a central heating radiator. Double glazed window to the rear elevation and laminate flooring and a central heating radiator. 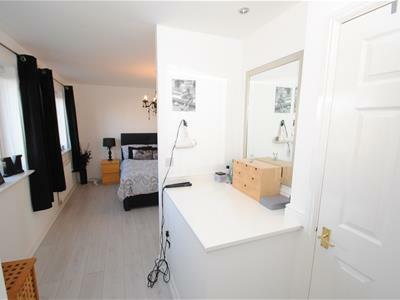 White three piece suite incorporating a panelled bath with shower over, pedestal wash hand basin, low level Wc, fully tiled walls and flooring, frosted window to the side elevation, extractor fan and a central heating radiator. No tests have been made of main services, heating systems or associated appliances, neither has confirmation been obtained from the statutory bodies of the presence of these services. We cannot therefore confirm that they are in working order and prospective purchaser us advised to obtain verification from their solicitor or surveyor.